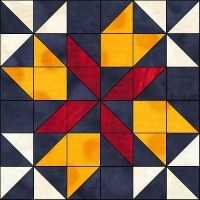 The Four Winds block is a traditional block and is made from half square triangles. 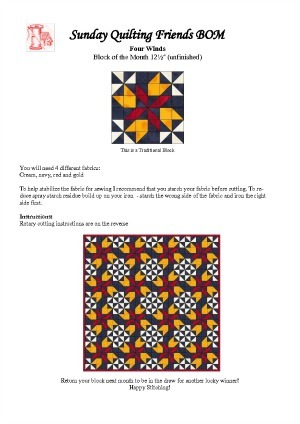 I first came across this block on Marcia Hohn's site QuiltersCache. I loved her colour combination so made mine using the same colours. You can find her block and method of construction here. I didn't use Marcia's method of construction as my block was made from my scraps. Which ever way you choose to make this block the results will be fabulous. I drew this block into EQ7 to get my fabric cutting instructions and these can be downloaded below. 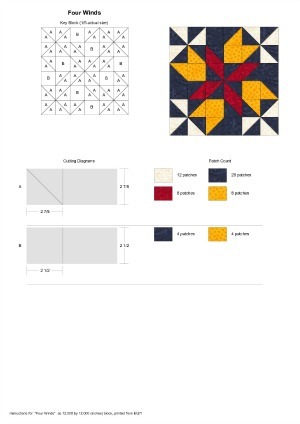 I designed this as a BOM project for my quilting group to use in 2015 so I have added that sheet as well for you to download. Please feel free to use this BOM sheet in any way that best suits your needs. Click on the images below to download a PDF for this BOM. Due to the large number of seams sewn to make this block you will need to sew all seams using a scant ¼". 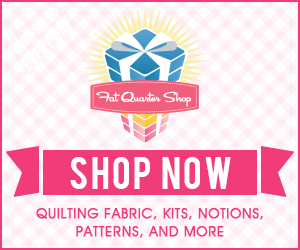 If you are new to quilting I have added a great video I found on YouTube explaining what a scant ¼" seam is and why it is important to use when sewing up some blocks. Also Donna Poster shows how you can achieve this on your sewing machine. Take your time when cutting your fabric as accuracy does pay off when it comes to sewing all those triangles together. 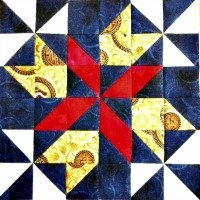 Due to the large number of wee seams in this block sew all seams using a scant ¼" seam. Remember to square up the finished blocks to 12½" x 12½" before sewing them together. As I mentioned I first saw this block on Marcia Hohn's site The Quilter's Cache. 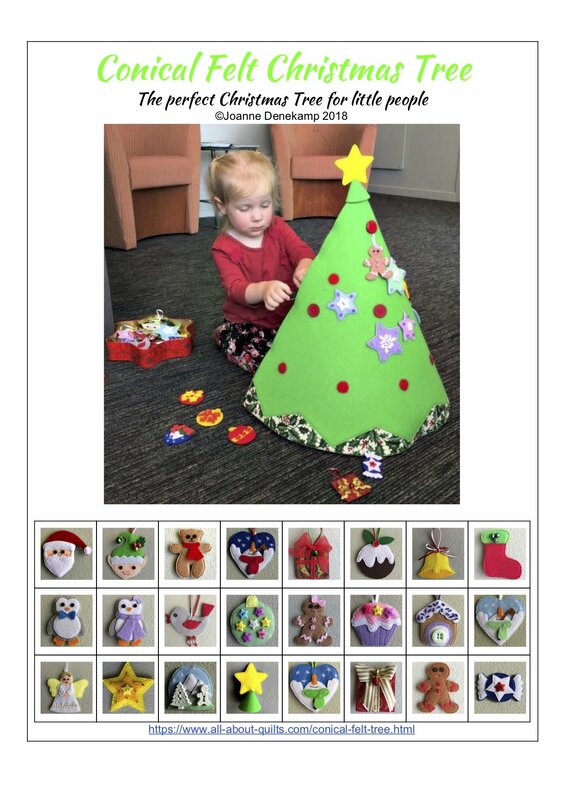 Here you will find a very very large collection of blocks complete with block assembly suggestions for free and also photos of blocks and quilts that people have made using her patterns. 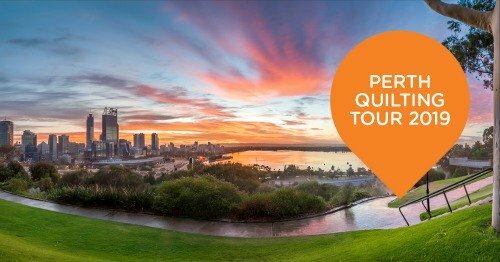 It's a large site so I enjoy short visits for inspiration!